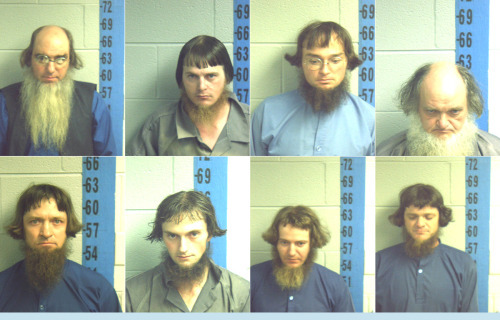 Eight Amish men were arrested and booked into the Graves Country (KY) jail for refusing to pay fines issued for failure to attach orange safety triangles to their horse-drawn buggies. The Swartzentruber Amish sect members said they could not display the triangles as it would violate a religious decree prohibiting bright colors. They received sentences ranging from three to 10 days and provided dark-colored jumpsuits in lieu of the jail’s traditional orange coveralls. Proof that the format makes even the most harmless of people look like hardned dangerous criminals.